It’s time to wrap up my de facto François Truffaut week, a week where I’ve honored Monday’s birthday boy. I’ve included a big screen review of The Bride Wore Black and waxed poetic about the importance of the man. 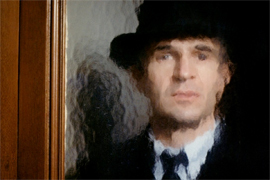 And all week long, the question has been on the tip of everyone’s tongue–what are my favorite Truffaut films? Here is how I’d rank every Truffaut film I’ve ever seen. There is a bit of personal preference included in the list, but for the most part I’ve tried to stay true to overall quality. Enjoy! Truffaut’s first major film also plays the role of his most influential, setting off the French New Wave revolution. It is one of the first movies that foreign film novices and film students alike turn to when seeking more knowledge. Like other films on this list, The 400 Blows was extremely personal for Truffaut. It was experimental. And it endures. Shoot the Piano Player is both an effective homage to the American noir as well as a parody of it. The deft touch with which Truffaut breaks film convention is amazing here, alternating between deep focus photography and shallow shots, organic/documentary-style at times and dreamlike in others. He always stays true to his revolutionary roots, and it’s the French New Wave icon of subtlety. It’s nothing short of a masterpiece. Truffaut loved people. And he loved to tell their stories on film. Probably above all else, he loved filmmaking. He put all of this to good use in Day for Night, his somewhat whimsical, fun, fascinating look at what precisely goes into producing a movie while staying true to the ensemble cast of characters. This 29-minute short is the second in Truffaut’s Antoine Doinel series, and represents the first time that we see Antoine again after The 400 Blows. Like its predecessor, it was an extremely personal endeavor for Truffaut, illustrating his own awkward jaunt through the latter stages of puberty and his obsession with the real-life Lilliane Latvin. The strength of Antoine et Colette is that it magnificently captures an age in a way that we can all relate. Jules et Jim stands tall as a gutsy film that pushed the boundaries of sexuality while simultaneously pushing the boundaries of accepted film practices. It was, and shall remain, a love triangle for the ages. You may find my brief review, fresh from this week, here. The gist of it is that The Bride Wore Black represents Truffaut’s Hitchcock impersonation. It’s a tremendous combination of minds. The Bride Wore Black was Truffaut doing a Hitchcock impersonation. The Green Room is as close as he ever came to Bergman. It’s his way of dealing with and discussing death, memory, and legacy in a very frank and open manner. The Wild Child is Truffaut’s take on the socialization of a feral child found in the woods, educated by a doctor played by Truffaut himself. In many ways, The Wild Child satisfies so many of the Truffaut tropes. At its heart, it’s a film about the awkwardness of childhood and finding acceptable ways to relate to adults. There’s also a really interesting question buried in the film. Which is more savage–nature in its purest form, or structured society? What emerges from The Last Metro is a gander at the way war affects art, and it works on a meta level with Truffaut the filmmaker using his cast of characters as a theater troupe trying to endure the Occupation. Apparently, he went to great lengths to present the era as painstakingly accurate as possible. A recent conversation that I had with a friend and fellow cinephile convinced me to push this film a little higher on the list. Like so many other of Truffaut’s films, Small Change presents the pains of growing up. But here, it’s boiled down to many children of many varying ages, including infancy. It’s something of a playful battleground with parents and children trying to wrest control from one another. The “H” in Adele H. stands for “Hugo”, and it tells the tale of Victor Hugo’s daughter. She moves to Canada under an assumed name trying to track down a former lover, now serving in the military. Adele’s obsession with the man ultimately becomes self-destructive, and the lengths that she’ll go to fighting for a lost cause (her love for a man who has spurned her) knows no bounds. It’s fascinating. If nothing else, The Man Who Loved Women represents solid non-linear episodic storytelling, beginning at the end and weaving the tale of how it arrived at the end… which is the beginning. It all began here with Truffaut’s first commercial film, a movie about a mischievous band of kids in their early teens (sound familiar?). While far from perfect, it established Truffaut in the French film scene as a rising star and gave him the confidence to take his next bold step–the incredible 400 Blows. 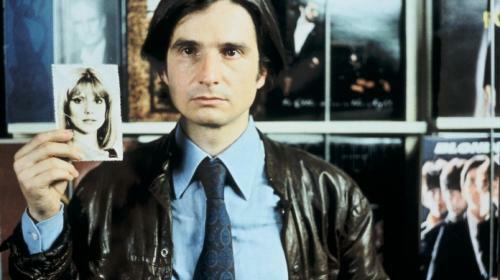 Love on the Run marks the fifth and final in the Antoine Doinel series. He had moved on from trying to subtly revolutionize cinema–perhaps a casualty of maturation– and focused more on bringing adult closure to his most famed character. In fairness to the film, it’s the fifth in the Doinel series, and I watched it completely out of order. I have yet to see Stolen Kisses (1968) or Bed and Board (1970), the third and fourth films in the series. This falls to the bottom of the list because it felt like the most unnatural Truffaut film, a non-science fiction director attempting to tackle Ray Bradbury’s science fiction novel about a future in which the written word is outlawed. Stylistically, it’s also the one and only Truffaut film in which I felt that he was bludgeoning the viewer with New Wave techniques, used somewhat clumsily. There are worse ways to fill a few hours, but it stands out to me as both his worst film that I’ve seen and my least favorite. Wow, this is almost like the list I’d make. The only difference is I think I’d put Jules and Jim at 3 or 4. And if I’m being honest, I really owe Jules et Jim a rewatch. 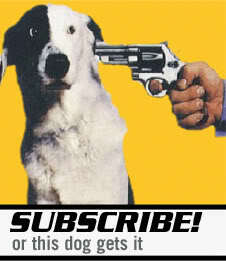 I saw it first before Truffaut “clicked” with me. I’d bet it would go up that list a few notches. Nice list! it reminded me that I still need to watch some important films he has made! It’s interesting to discover how someone likes The Man Who Loved Women, because it is a lesser known work from him. I thought it was one of his lesser work… Maybe I should rewatch it sometime soon… Nice list btw! Nice primer, man. 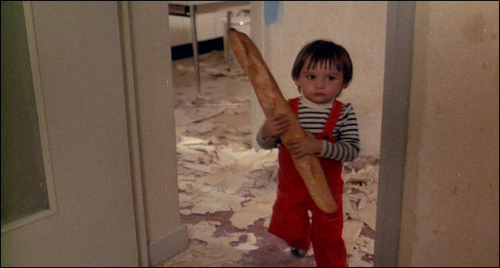 I just bookmarked your list and will check back for my next Truffaut viewing. Thank you for ranking The Green Room so high. Truffaut‘s acting in it is amazing and it’s an oft underrated film. You should watch The Soft Skin when you have a chance. It’s his best alongside The 400 Blows and Antoine et Colette. Stolen Kisses is worth a spin too of course. I saw The Soft Skin not very long ago, but I wasn’t in the mood. No fault of the film at all. Long story short, I’m definitely doing a re-watch in the coming year. Good list. I have yet to watch The Green Room, Day for night, and The Bride Wore Black. The Soft Skin is missing from that list… (Francoise Dorleac aka Catherine Deneuve’s sister as the main actress). Also, I would rate the Man who loved women higher: I LOVED it. Two English Girls is also missing from that list… a beautiful, slightly unconventional love story. I must say I really did not enjoy Jules et Jim… I’m not crazy about the narration, the atmosphere and the flow of the film in general. (even though I’m a big Jeanne Moreau fan). Wasn’t at all crazy about Don’t shoot the piano player.